Welcome to another edition of Po Politickin. On today’s show we politick with Rsonist of the platinum duo The Heatmakerz. Consisting of Rsonist and Thrilla, The Heatmakerz, are a New York based production team known for creating hard hitting beats and platinum hits. Their unique sound propelled artists like Cam’Ron, Juelz Santana and The Diplomats to stardom. 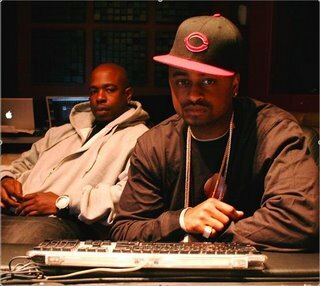 They have also produced hits for Fat Joe, Lil Wayne, Ludacris, Lil Flip, Papoose, Twista, I-20, M.O.P, AZ, Capone and Brook Valentine with an overall combined sales history of nearly 8 million records. This is the first interview in our webuildhits.com interview series.